فاطمة سعيد ناصر الخاطري باحثة دكتوراه في قسم دراسات القرآن والسنة، كلية معارف الوحي والعلوم الإنسانية، الجامعة الإسلامية العالمية بماليزيا. سعد الدين منصور أستاذ مشارك بقسم دراسات القرآن والسنة، كلية معارف الوحي والعلوم الإنسانية، الجامعة الإسلامية العالمية. انتشرت في الآونة الأخيرة تيارات طائفية تحرِّض الناس على التمييز والكراهية وازدراء الأديان في المجتمعات الإنسانية، مما أدى إلى حدوث اعتداءات على المسلمين وغيرهم، فكان لابد من وضع قوانين لحفظ الحقوق والحريات وتوفير الحماية الجنائية للجميع في ظل ثوابت الشريعة الإسلامية ومتغيرات العصر، وإن دولة الإمارات العربية المتحدة تتبنى مجموعة من المبادرات، منها إصدار قانون مكافحة التمييز والكراهية وازدراء الأديان. واعتمد البحث على منهجين: المنهج الاستقرائي لتتبع الأحاديث والآثار وبنود القوانين ذات الصلة بالموضوع، والمنهج التحليلي لتحليل مواد قانون مكافحة التمييز والكراهية الإماراتي، وبيان مدى ملائمته للمنهج النبوي. وقد توصل البحث إلى أن التسامح والتعايش سياسة تحرص عليها دولة الإمارات، مع ضرورة الحفاظ على الدولة وحمايتها من التطرف والطائفية، ولتحقيق ذلك أصدرت عدة قوانين لتجريم ازدراء الأديان ومنع التمييز والكراهية، وهذا القانون موافق للسنة النبوية الخاصة بمعاملة غير المسلمين، إلا أنه قصر عدم الإساءة على الديانات السماوية الثلاث ودور العبادة الخاصة بها دون غيرها. وقد أوصى البحث بضرورة تعديل نطاق القانون ليشمل عدم الإساءة لجميع الأديان، السماوية منها وغير السماوية، التي يعتنقها المقيمين في الدولة. الكلمات المفتاحيّة: قانون، مكافحة، النهج النبوي، تمييز، غير المسلمين. Recently, many sectarian groups have been widespread encouraging hatred and discrimination and contempt of religion in human societies. This lead to the occurrences of assaults against Muslims and others, hence it became important to construct rules to protect the rights, ensure the freedom and provide a legal protection for everyone in the light of the principles of Islamic ruling (Shari’ah) and era’s variations. United Arab Emirates (UAE) adapts a group of initiatives such as issuance of a declaration in combating hatred and discrimination and contempt of religion. 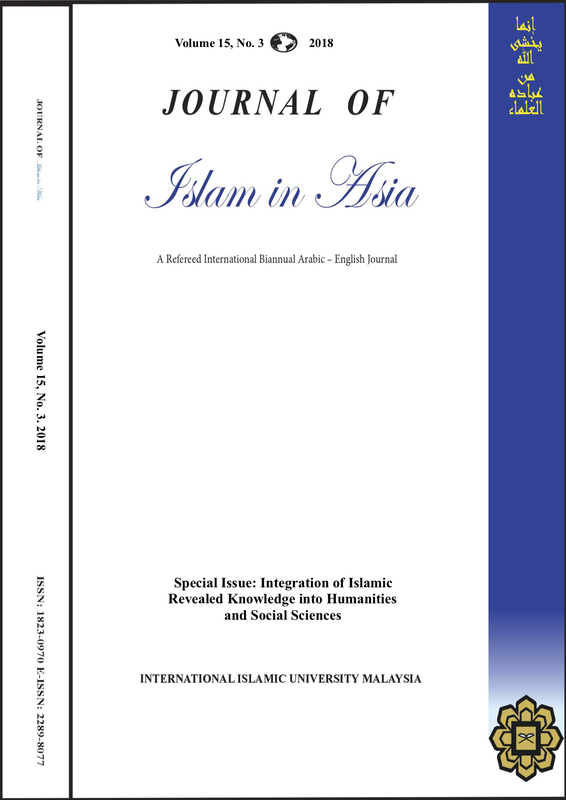 This research follows two approaches: the approach of induction to track the hadiths and traditions and sections of the declaration, and the analytical approach to analyse the articles of the emirates law in combating hatred and discrimination and to emphasize on the extent to which it is compatible with prophetic approach. The research found that the state of Emirates bears in mind that forbearing and living (peacefully) together are policies that should always exist in the state, with the necessity of preserving the country and protecting it from extremism and sectarianism, and in order to achieve this, it published many rulings to prohibit hatred and discrimination and contempt of religion, and this ruling is compatible with the prophetic approach, except that the non-abuse stated in the law is restricted to only three divine religions and their worships. The research stresses on the necessity of amendment of range of the law to include non-abuse to all religions, divine and non-divine that exist in Emirates. Keywords: Law, Combating, Prophetic Approach, Discrimination, non-Muslims.